1.1 What these terms cover. These are the terms and conditions on which we supply products to you, whether these are goods or installation services. Provisions specific to consumers only are in red and those specific to businesses only are in blue. (b) Our Acceptable Use Policy, which sets out the permitted uses and prohibited uses of our site. When using our site you must comply with this Acceptable Use Policy. 2.1 Who we are. We are Equipment4garages.com Limited a company registered in England and Wales. Our company registration number is 07314446 and our registered office and trading address is at Smug Oak Stables, Smug Oak Lane, Bricket Wood, St. Albans, Hertfordshire AL2 3PN. Our registered VAT number is 994804864. 2.2 How to contact us. You can contact us by telephoning our customer service team at 01727 875695 or by writing to us at our registered office or by email to: info@equipment4garages.com. 3.1 How we will accept your order. Our acceptance of your order will take place when we send an email to you to accept it, at which point in time and place (in England at our offices) a contract will come into existence between you and us. 3.2 If we cannot accept your order. If we are unable to accept your order, we will inform you of this and will not charge you for the product. This might be because the product is out of stock, because of unexpected limits on our resources which we could not reasonably plan for, because a credit reference we have obtained for you does not meet our minimum requirements, because we have identified an error in the price or description of the product or because we are unable to meet a delivery deadline you have specified or for other reasons. 3.3 Your invoice number. 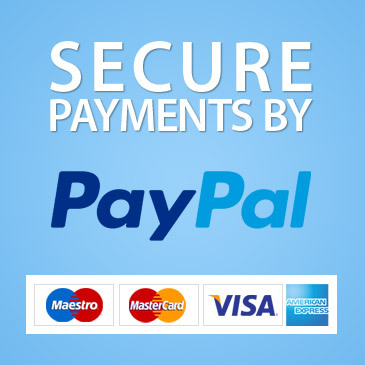 We will assign an invoice number to your order and tell you what it is when we accept your order. It will help us if you can tell us the invoice number whenever you contact us about your order. 3.4 Website for promotion of products for sale in the UK. Our website is for the promotion of our products in the UK. If you are based overseas, please contact us on our customer services number to obtain confirmation as to whether we can accept your order and ship products to your location. 4.1 Products may vary slightly from their pictures. The images of the products on our website are for illustrative purposes only. Although we have made every effort to display the colours accurately, we cannot guarantee that a device’s display of the colours accurately reflects the colour of the products. Your product may vary slightly from those images. Although we have made every effort to be as accurate as possible all sizes, weights, capacities, dimensions and measurements indicated on our website have a 3% tolerance. 4.3 Making sure your measurements are accurate. If we are making the product or installing the product according to measurements you have given us you are responsible for ensuring that these measurements are correct. You can find information and tips on how to measure on our website or by contacting us. If the situation arises where a product does not fit due to incorrect measurements provided by you and you are entitled to return that produced to us or if we agree to the return of the product, we will deduct from the price paid by you the cost of labour and transport in our removing and collecting the product from you. (b) to implement minor technical adjustments and improvements, for example to address a security threat or safety issue. If these changes will affect your use of the product we will contact you to explain the likely impact. (a) The costs of delivery for most of our products to most parts of the United Kingdom will be as displayed to you on our website. (b) Heavy and/or large items: In relation to heavy and/or large items, please contact us prior to making your order for the price of the delivery. (c) Please contact us for the cost of delivery to the Isle of Wight, Isle of Man, the Scottish Isle, Scotland, Northern Ireland and the Channel Isles. (d) Delivery charges outside of the United Kingdom: Please see paragraph 3.4 above for our terms and conditions regarding sales of our products overseas. 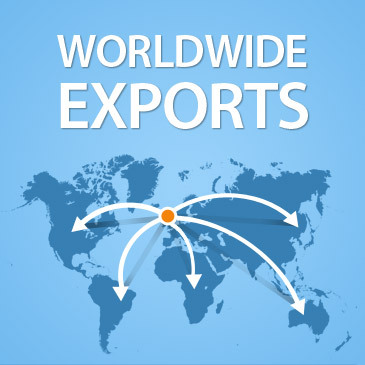 If we are able to supply products to you overseas please contact us for the cost of delivery to your location. (a) If the products are goods. If the products are goods we will contact you with an estimated delivery date, which will be within 30 days after the day on which we accept your order or such other date as we shall agree. (b) If the products are one-off installation services. We will begin the services on the date agreed with you during the order process. The estimated completion date for the installation services is as told to you during the order process. (c) If the products are ongoing services or a subscription to receive goods. We will supply the services or goods to you until either the services are completed or the subscription expires (if applicable) or you end the contract as described in Clause 8 or we end the contract by written notice to you as described in Clause 10. 7.4 Collection by you and delivery of large and/or heavy items. If you have asked to collect the products from our premises, please call our customer service number in advance to arrange a collection time. If your order consists of a large and/or heavy item or items, such items may need to be delivered by a fork lift or tail lift. Please contact us prior to making your order to confirm the delivery method of heavy and/or large items and to confirm that your premises can facilitate access via a fork lift or tail lift as the case may be. 7.5 If you are not at home (or the delivery address) when the product is delivered. If no one is available at your address to take delivery and the products cannot be posted through your letterbox or left in a safe place, our courier may leave you a note informing you of how to rearrange delivery or collect the products from a local depot. 7.7 If you do not allow us access to provide services. If you do not allow us access to your property to perform the services as arranged (and you do not have a good reason for this) or if you fail to comply with the requirements of Clause 7.14 we may charge you additional costs incurred by us as a result. If, despite our reasonable efforts, we are unable to contact you or re-arrange access to your property we may end the contract and Clause 10.2 will apply. 7.10 What will happen if you do not give required information to us. We may need certain information from you so that we can supply the products to you, for example, measurements of your property for installation purposes. If so, this will have been stated in the description of the products on our website. We will contact you to ask for this information. If you do not give us this information within a reasonable time of us asking for it, or if you give us incomplete or incorrect information, we may either end the contract (and Clause 10.2 will apply) or make an additional charge of a reasonable sum to compensate us for any extra work that is required as a result. We will not be responsible for supplying the products late or not supplying any part of them if this is caused by you not giving us the information we need within a reasonable time of us asking for it. 7.12 Your rights if we suspend the supply of products. We will contact you in advance to tell you we will be suspending supply of the product, unless the problem is urgent or an emergency. If we have to suspend the product for longer than 14 days we will adjust the price so that you do not pay for products while they are suspended. You may contact us to end the contract for a product if we suspend it, or tell you we are going to suspend it, in each case for a period of more than 21 days and we will refund any sums you have paid in advance for the product in respect of the period after you end the contract. 7.14 Lift Installation. Please ensure that you have read the section “Which lift is best for me? A guide to vehicle lifts” which can be found at the following link: [insert link]. You warrant that when ordering any lift from us that the base upon which such lift is to be installed consists of a good quality, sturdy level concrete base and that the concrete base is of a sufficient size and depth as per the recommendations contained in our guide. You further warrant to us that that you have taken accurate measurements to ensure that there is sufficient space not only for the lift and sufficient height in your workshop or garage to allow for vehicle height on top of the lift. You also warrant that there are no gas or water pipes, or electricity or internet cables buried beneath the concrete base as lifts will be bolted to the floor during the installation process. If you breach the warranties in this Clause 7.14, we may either end the contract (and Clause 10.2 will apply) or make an additional charge of a reasonable sum to compensate us for any extra work that is required as a result. We will not be responsible for supplying the products late or not supplying any part of them if this is caused as a result of a breach of this Clause 7.14. You confirm that you will at your cost for the duration of the lift installation have a qualified electrician present on site to connect all electrical parts of the lift to the electricity supply. You also confirm that in order for us to carry out an electric test using a test lead that you have the correct electricity supply available for us to carry out this process. You warrant that you will comply with: the Lifting Operations and Lifting Equipment Regulations 1998 (LOLER) by having your lift inspected by a competent person (as defined in those regulations) every six months from installation; and inspected by a competent person (as defined in the Provision and Use of Work Equipment Regulations 1998) to ensure the lift has been properly maintained. You are responsible for load testing the lift after instalment and the Company will have no liability which may arise howsoever in respect of your failure to carry out such load testing. (c) If you are a consumer and have just changed your mind about the product, see Clause 8.3. You may be able to get a refund if you are within the cooling-off period, but this may be subject to deductions and you will have to pay the costs of return of any goods. (a) Phone or email. Call customer services or email us. Please provide your name, home address, details of the order and, where available, your phone number and email address. (c) By post. Write to us at that address, including details of what you bought, when you ordered or received it and your name and address. 9.2 Returning products after ending the contract. If you end the contract for any reason after products have been dispatched to you or you have received them, you must return them to us. You must either return the goods in person to where you bought them, post them back to us at our registered office or (if they are not suitable for posting) allow us to collect them from you. Please call customer services or email us for a return label or to arrange collection. If you are a consumer exercising your right to change your mind you must send off the goods within 14 days of telling us you wish to end the contract. 9.5 How we will refund you. If you are entitled to a refund under these terms we will refund you the price you paid for the products (including delivery costs if applicable), by the method you used for payment. However, we may make deductions from the price, as described below. 9.7 When your refund will be made. We will make any refunds due to you as soon as possible. If you are a consumer exercising your right to change your mind then if the products are goods and we have not offered to collect them, your refund will be made within 14 days from the day on which we receive the product back from you or, if earlier, the day on which you provide us with evidence that you have sent the product back to us. For information about how to return a product to us, see Clause 9.2. 10.2 You must compensate us if you break the contract. If we end the contract in the situations set out in either Clause 7.14 or Clause 10.1 we will refund any money you have paid in advance for products we have not provided but we may deduct or charge you reasonable compensation for the net costs we will incur as a result of your breaking the contract. How to tell us about problems. If you have any questions or complaints about the product, please contact us. You can telephone our customer service team or write to us by email or by post. 12.2 Your obligation to return rejected products. If you wish to exercise your legal rights to reject products you must either return them in person to where you bought them, post them back to us or (if they are not suitable for posting) allow us to collect them from you. We will pay the costs of postage or collection. Please call customer services or email us at for a return label or to arrange collection. 12.3 Delay in obtaining spares and missing parts. From time to time we may need to obtain spare and/or missing parts from our manufacturers based overseas. There may be a delay in obtaining such spares if they are out of stock with the manufacturer and we may need to put them on order. Heavy and/or large items will need to be shipped which could take several weeks. We will endeavour to keep you updated on the lead times for delivery of such spares and missing parts and will take steps to minimise the effect of delay wherever possible. Provided we do this we will not be liable for such delays. 13.6 Delay in obtaining spares and missing parts. From time to time we may need to obtain spare and/or missing parts from our manufacturers based overseas. There may be a delay in obtaining such spares if they are out of stock with the manufacturer and we may need to put them on order. Heavy and/or large items will need to be shipped which could take several weeks. We will endeavour to keep you updated on the lead times for delivery of such spares and missing parts and will take steps to minimise the effect of delay wherever possible. Provided we do this we will not be liable for such delays. 14.1 Where to find the price for the product. The price of the product (which specifies whether it includes VAT or if VAT is excluded) will be the price indicated on the order pages when you placed your order. We take all reasonable care to ensure that the price of the product advised to you is correct. However please see Clause 14.3 for what happens if we discover an error in the price of the product you order. (b) For services, you must pay for services at the point of your booking those services. A receipted invoice will be provided to you. Please see the following link for information on whether garage equipment finance might be available to you [insert link]. 14.6 We can charge interest if you pay late. If you do not make any payment to us by the due date we may charge interest to you on the overdue amount at the rate of 2% a year above the base lending rate of Barclays Bank plc from time to time. This interest shall accrue on a daily basis from the due date until the date of actual payment of the overdue amount, whether before or after judgment. You must pay us interest together with any overdue amount. 18.1 We may transfer this agreement to someone else. We may transfer our rights and obligations under these terms to another organisation. We will contact you to let you know if we plan to do this. If you are unhappy with the transfer you may contact us to end the contract within 14 days of us telling you about it and we will refund you any payments you have made in advance for products not provided. 18.3 Nobody else has any rights under this contract. This contract is between you and us. No other person shall have any rights to enforce any of its terms. Neither of us will need to get the agreement of any other person in order to end the contract or make any changes to these terms. 18.6 Which laws apply to this contract and where you may bring legal proceedings if you are a consumer. These terms are governed by English law and you can bring legal proceedings in respect of the products and/or services in the English courts. If you live in Scotland you can bring legal proceedings in respect of the products and/or services in either the Scottish or the English courts. If you live in Northern Ireland you can bring legal proceedings in respect of the products and/or services in either the Northern Irish or the English courts. If you live outside of the United Kingdom, you may be entitled to bring legal proceedings in your local courts if specific legislation to which we are bound entitles you to do so.